Hello Strose Blog Friends! For all past, present, or future students here at Saint Rose, you’ll probably experience (or have experienced) the most glorious weekend in the entire Saint Rose school year: Relay/Rose Rock weekend. It always happens at the end of the semester with a couple of weeks left of school. It happens at the perfect time when people are juuuust starting to get stressed with the thought of finals week approaching and let me tell you, it’s the most fantastic combination of events that I’ve ever experienced. This past weekend, I participated in something called Relay for Life. For those of you who don’t know, Relay for Life is an event put on by Saint Rose’s Colleges Against Cancer committee to help raise money for cancer research. I had heard about this event before, but never felt compelled to join in on the festivities. However, this year I got involved through Student Events Board and I am forever thankful that I did. Essentially, the event is a walk that occurs between 6pm and 6am where people walk around the campus green in honor of someone (or multiple someones) who have survived, are currently fighting, or have lost their life from any form of cancer. Being personally affected by cancer with my Aunt Maureen having lost her battle a few years before I was born, I felt like I should participate in honor of her. It was so amazing to see all of the people participating in various events on the campus green like donating their hair, performances, storytelling, and a luminary ceremony (I know there were many more, but I was too tired to stay awake for all of them!). 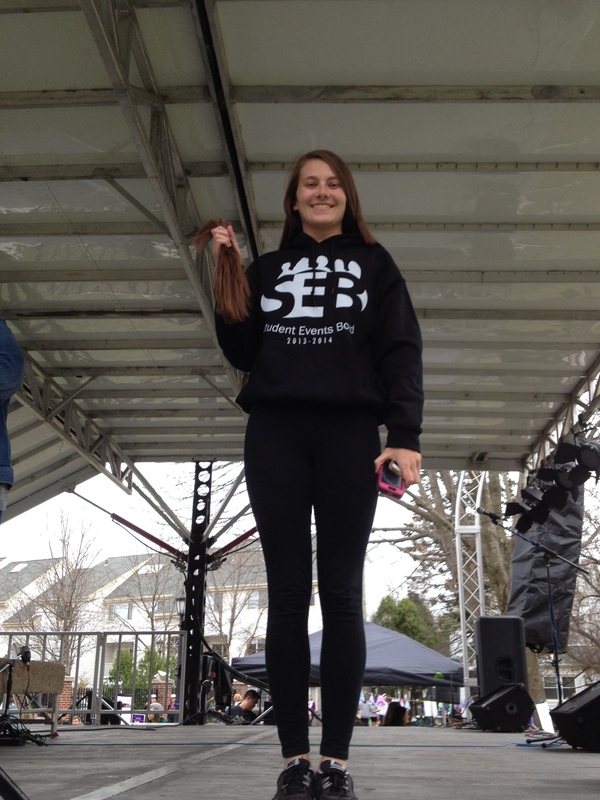 My best friend Marissa donated over 10″ of hair at Relay for Life! The most touching part for me was the luminary ceremony. It’s usually held outside on the campus green, but the rain forced us to move inside. 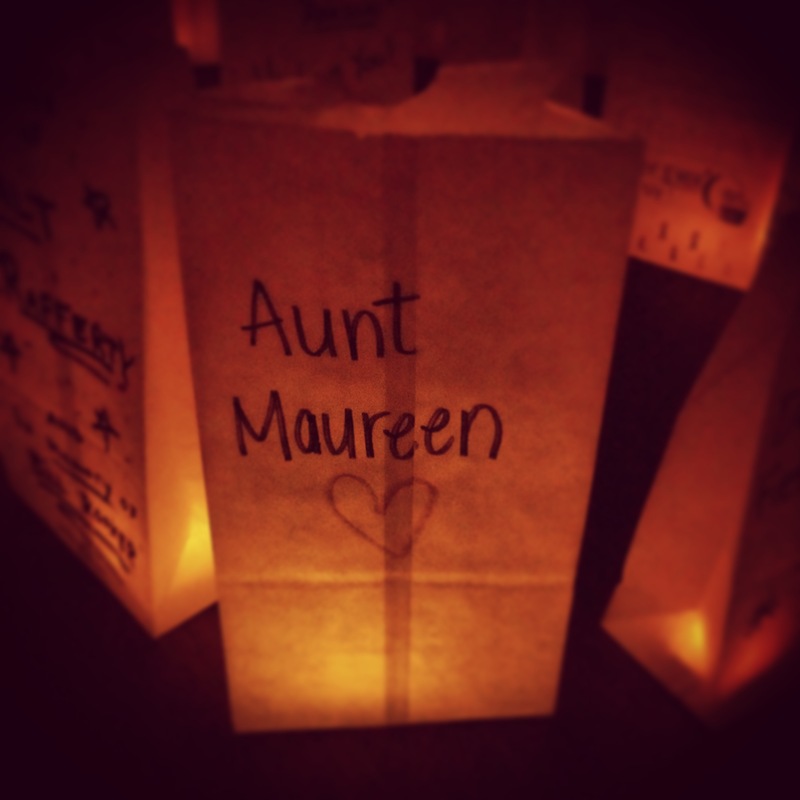 This ceremony allowed people to write the names of those who have been affected in some way by cancer on paper bags that had a candle in them. The lights were turned off and the glow of the candles made it so beautiful. It was visually beautiful but also so touching and eye opening to see how many people have really been affected in this campus community. Overall, I HIGHLY suggest that people get involved in Relay next year either though Colleges Against Cancer, or by starting your own fundraising team! I mean, really, I don’t know what else I need to say to convince you that it’s awesome. They had me convinced at free fried dough! 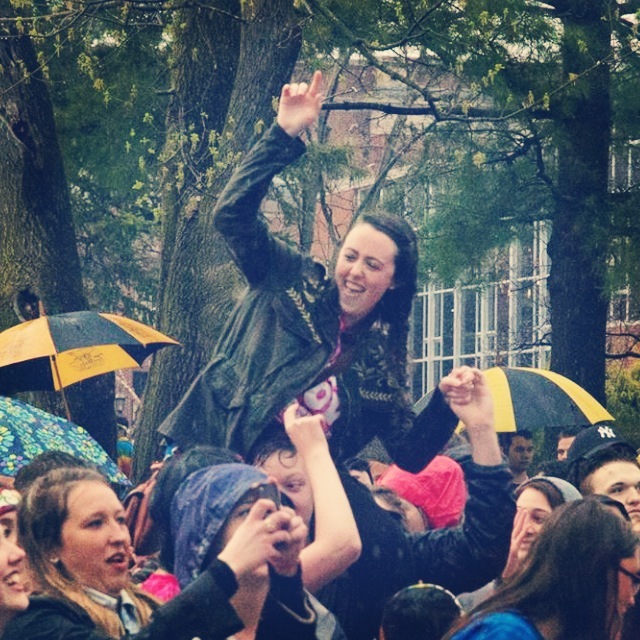 Even though it rained during Hellogoodbye’s performance, it was still amazing. It was really fun to just spend a stress-free day with friends out on the campus green rain or shine.